The hills are alive with torrential rain. 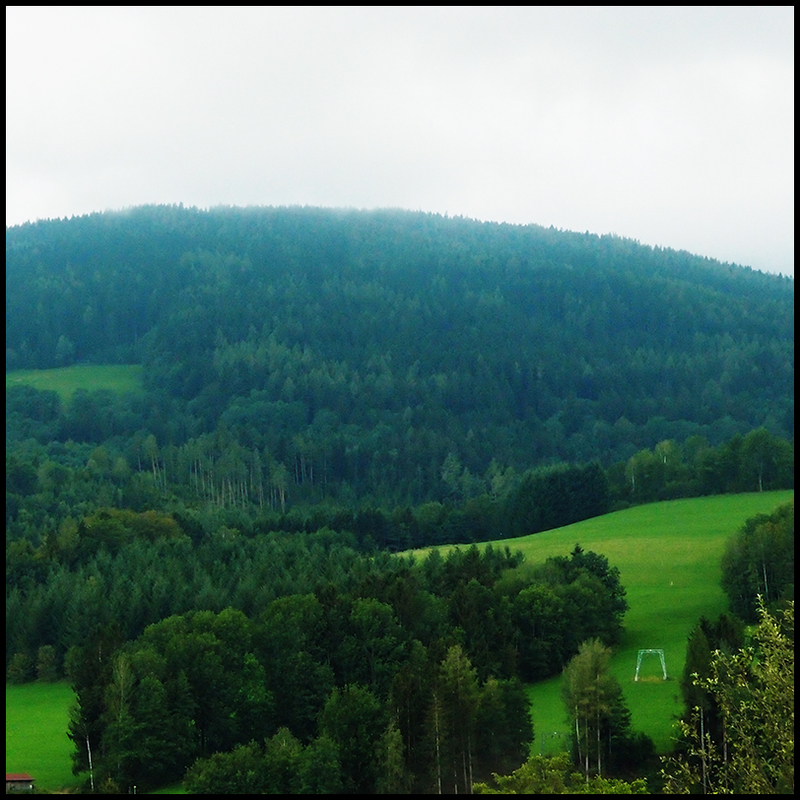 I’m currently in Kirchberg am Wechsel, at the eastern end of the Austrian Alps for work. I didn’t really have much access to the internet last week in Dresden, so I haven’t updated properly. I saw most of the sights, also went to the DDR Museum in Radebeul and ate a lot of pastry and spätzle. The school in Dresden was an interesting and exhausting experience. No-one had warned us before we got there that they were still building the school, so there was no electricity or running water, and furniture would mysteriously appear and disappear. 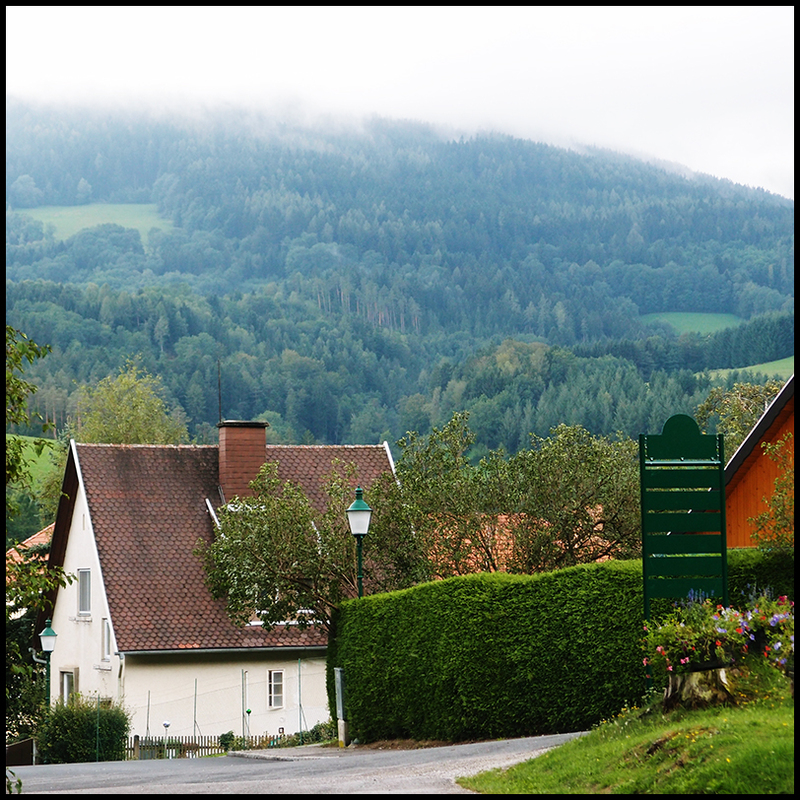 The (completely built and equipped) school in Kirchberg seems very restful! On the way to Austria I spent the weekend in Prague with Hazel, one of the other teachers. More about Dresden and Prague later. This town has one long street, several guesthouses, the International Wittgenstein society, and a bat-filled stalactite cave. It has rained a lot since we arrived here . 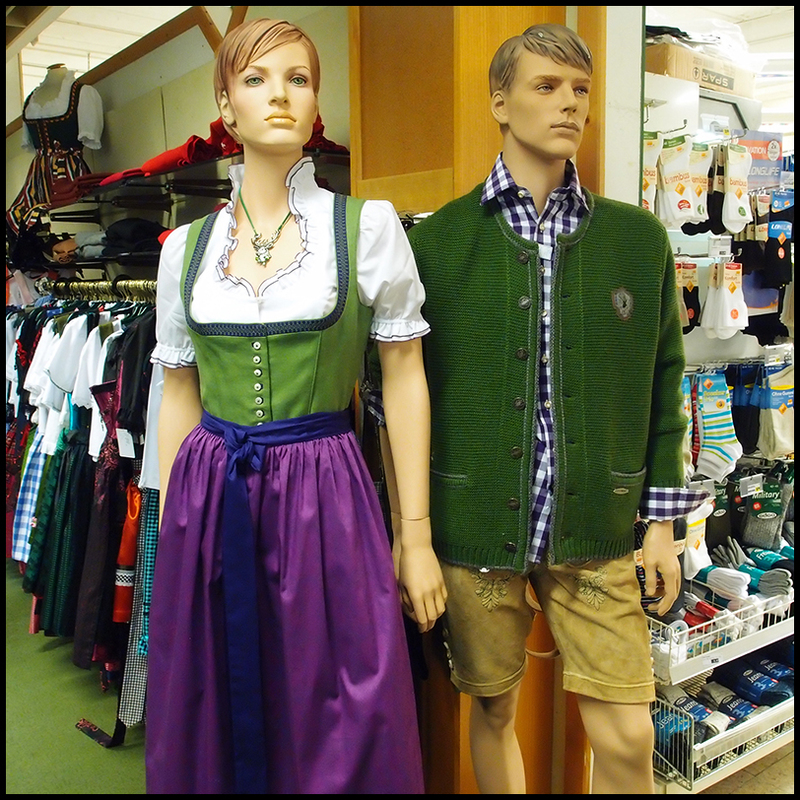 . .
You know you are in rural Austria when the local supermarket has a fine selection of lederhosen and dirndls. They are made of very high quality fabric, and cost several hundred euros an outfit. Great website. I was wondering as you worked in schools if there are any special schools in Kirchberg am Wechsel?